Newspapers Atlantic is the sales and marketing division of the Atlantic Community Newspapers Association (ACNA). They represent corporate newspaper groups, like Transcontinental Media, as well as independently-owned papers. Members get 10% discount on advertising network rates over and above all other discounts offered. Whether you’re a solo entrepreneur, home-based business or part of a larger firm, benefits are a very important part of your financial security. The Chambers Plan creates a solid foundation for that security, based on a benefit program designed specifically for small-business owners, just like you. 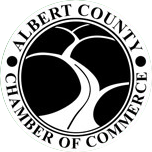 All it takes to join is membership in a participating Chamber of Commerce or Board of Trade. You’ll get the security you need, along with a benefits program that’s personalized for you and your company. You’ll also get: guaranteed coverage, plan flexibility, rate stability, customer service, additional advantage. Available to all chambers of commerce and boards of trade in Atlantic Canada, this new program provides, among other benefits: exclusive and competitive rates for their members, access to a variety of products to meet the challenging needs of merchants, and single resource for all program information. Members can access a discounted rate for both their businesses and/or their employees. Enjoy a discount of 3.5 cents off the posted pump price at any Esso-brand station. Independent and Unbiased – we search the marketplace and recommend the best value for our clients. We are proud to offer discounts starting at 25% on Purolator Express® and Purolator Ground® suite of services for our members. Non-Profit management and Corporate Liability Insurance Program (Directors and Officers Liability Insurance). Included coverage extensions: Fiduciary liability (coverage for the administration of employee benefits plans), defence costs in addition to the limit of liability, non-rescindable side “A” extension, coverage for deemed or “de facto” directors, $0 deductibles, policies available in English or French, enhanced insured persons indemnification, and multi-year policies. Do you believe you are saving money by doing payroll yourself? UNI payroll service can help cut expenses and preparation time each payroll period.